Exceptional Sales and Customer Support—also known as Customer Service—is the foundation to every successful ecommerce business. A Sales Person is the frontline contact with prospects before they buy—and contact to your company is by email or phone. Customer Support is after the sale, again by email and phone—if you offer this option. I recommend you offer phone sales & support as it says so much more about your company than those who hide behind email. If required you can use separate phone numbers for sales and support. Statistics suggest that on average a customer will visit up to seven websites prior to making a buying decision. Of those seven sites, they will email approximately 30 percent with a product enquiry and questions. The interesting thing is they copy and paste the same email question to each website awaiting a fast response. 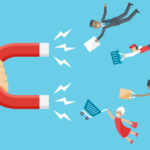 Customers have no loyalty to one website. So, aim for the WOW factor! When a prospect emails your sales department, the faster you reply, the better the chance of converting this enquiry into a sale ahead of your competitors. Respond in minutes where possible and aim for under an hour. If you take your time to read customers’ email enquiries and respond to all questions and points raised, with speed and accuracy of responses and with politeness, then in my experience they will buy from you and forget the rest. When I have personally emailed companies for information I estimate about 50%–70% actually read and responded to the email exactly, some gave blunt answers and many did not even answer some of the questions. This just causes frustration for the prospect and the sale is lost. Being an online marketer I have spent a few bucks to bolster my own education with the big US based Internet Marketers – these guys utilize clinical sales funnels to sell products. However, when you contact their customer support desks or email support—from my experience and from all accounts reading the forums online from many other people’s experiences, (just search for ‘[internet marketer’s name] scam’)—the level of support these guys offer is pretty poor to say the least. Contrast this with a reputable ecommerce company such as Amazon.com. The support you receive there is exceptional—in my personal experience. So would I recommend a company that offers poor customer service? Absolutely not! Would I recommend a company where I had a great buying & support experience such as Amazon? You bet I would! Therefore, this ‘word of mouth’ advertising, positive or negative is critical to your bottom line profits. I am sure you have heard the saying ‘When you have a good experience you tell your close friends and when you have a bad experience you tell everyone’. This is Word of Mouth Advertising in action. WOM Marketing can promote and even explode your business, spreading like a virus, and simply because you did the right thin’. You’ve heard of viral marketing, like when a YouTube video spreads like a virus—and has millions of views in days just because it’s ‘funny’ or ‘weird’. The same thing can happen on a smaller scale, if you can convert an unhappy customer into one who is delighted with the way you responded to their support query and resolved their problem fast. They will rapidly swing from a negative emotion towards your company, to one of highly excited sales person! You have to see this in action to believe how powerful it can be. So where possible, help and resolve customer queries fast, sticking to your principles! 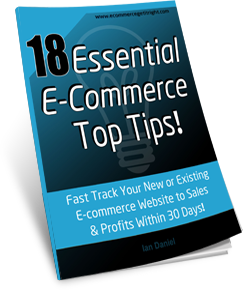 In Step 1, ‘13 Common Ecommerce Mistakes’ I touched on not being a slave to your customers’ demands. To elaborate on this I want mention customer mindset. Everybody on this planet has their own problems—including your customers—and their current mindset and personality is determined by current events. For example if your customer has booked a day off work to receive their order—and the courier fails to deliver for whatever reason— this can be the final straw, the trigger for your customer to lose it! They then phone you up and give you or your team an earful of their frustration. However, customers can also get worked up over very minor things. So as soon as you can, decide on a rule or measure to what degree you will stand for any bad attitude, bad language, insults, etc, to protect your employees. I do not say this to scare you, but it can happen occasionally. If you’ve done everything right—apologized, explained the reasons why and taken the appropriate action to resolve the problem and fast—and the customer still insists on being awkward or using abusive language, then maybe you need to terminate the relationship! In my office, my team and I decided to practice a Rule of 3. This essentially gives the customer three chances. We at first apologized and explained how we would resolve the issues promptly. Then if the customer continued to raise their voice, swear and be verbally abusive, then we would repeat our recommended course of action, looking for the customers’ cooperation. On the 3rd insult we would simply say ‘OK, here’s what I would like you to do, please package the product up securely and return to the address I’m about to email you, Thank you, Goodbye’ and end the call. You may think this is not required for your business and that is fine. However, what you will quickly learn is that when a customer is in a negative state of mind, the law of attraction swings into action and everything continues to go wrong for them. As an example: if they have received a faulty product and you then send a replacement—you will find the replacement will not get there in one piece. It is as if they make it happen! You will not get many of these customers but when you do, they can drain staff morale and sap your energy and enthusiasm so fast. Ultimately, your job is to provide exceptional quality products and service. 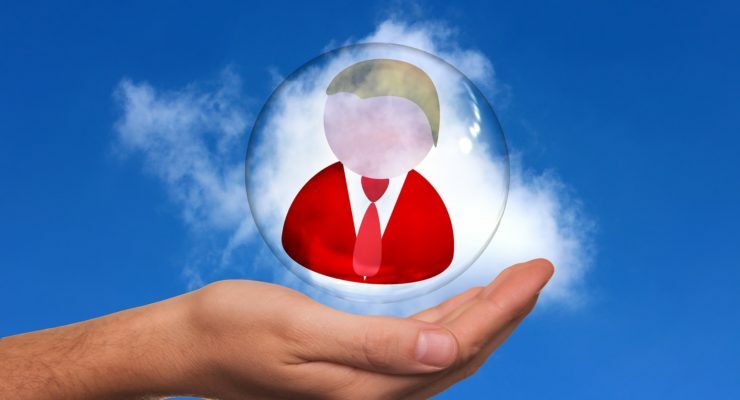 Your job description does not include insults or verbal abuse from customer—regardless of your customers’ ‘problems’. When you launch your site, you may want to start with a simple contact form and traditional email. However, once you get more traffic—and as a consequence more sales and support enquiries—using good support software and modifying it to fit your business can give you big advantages over your competitors. Good support software keeps things organized. Emails/tickets are all located in one area with a secure login. You will maximize efficiency, email enquiries can be answered faster, and all history per contact is logged. Customers can select the website and/or department they required from drop downs menus on a webpage, if you have multiple websites and departments. Support Center Company Benefits & Features. Good software like this also has secure individual user login so all email/tickets are assigned to each specific user. You get all kinds of statistics and features; all of the support emails are split by department and/or website, the senders’ full details, time, comments, which employee responded, your notes, etc. It’s all tracked. All of these processes can be automated, synchronized and even outsourced easily. In addition, if you have multiple websites in a network as I did, this enables all websites to link to the one support center for easy management. You can also display best selling products on the support center home page, so when prospects or customers contact you for ‘Pre-Sale’ enquiries they may see an attractive deal and place an order. 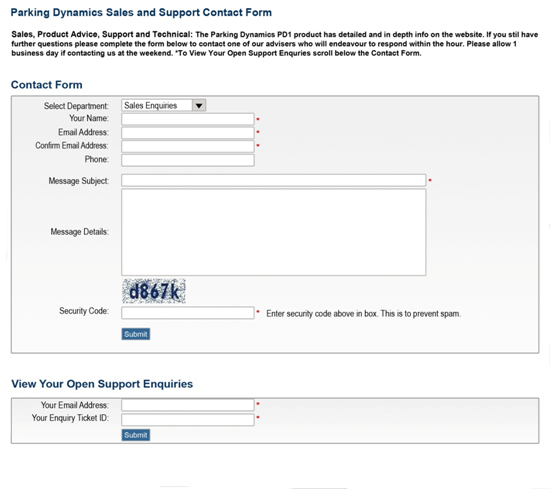 When the contact form is submitted, the prospect is presented with a contact ‘confirmation page’ just like you get after placing an order and having gone through the checkout. This is where you can position newsletter email opt-in forms, RSS subscriptions, special deals, best sellers, and links to other sites, and so on. Additional benefits are; you can outsource the support to an outsource company or individual that is accessible via the web 24/7. I had two fulltime employees in India running my sales and support center, handling the support and technical support enquiries for one of my site networks. This worked very well and they synchronized perfectly with my employees in the UK sales office. I have used both of the above software products and both can be modified to fit your specific needs. Kayako has more features, but is more complex to use and modify. 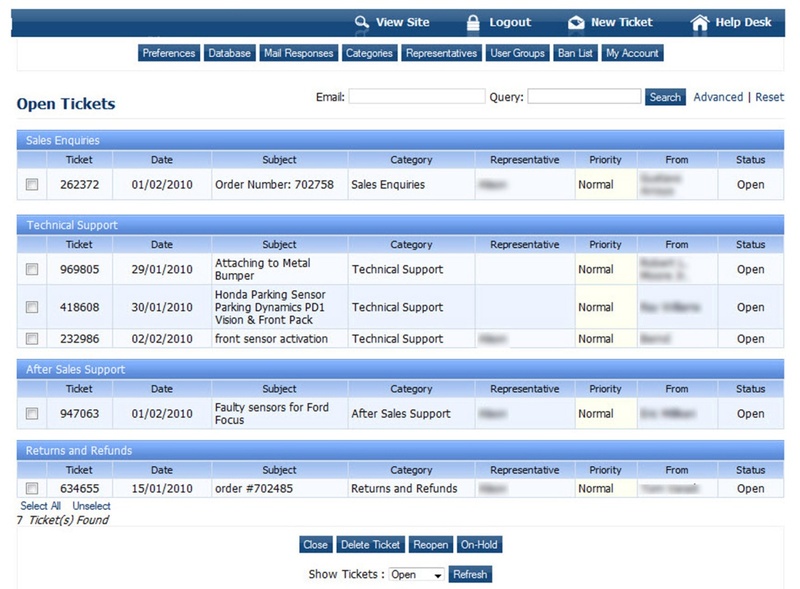 I spent a bit of time reworking eTicket support to fit my exact specification and prefer to use this now as it is clean, simple and does all I need with the option of flexibility if I need to make changes. My preference is Live Person although it is quite expensive for a start up website. I would only recommend you use this software product when you get more visitors. Live chat software can build trust quickly as customers know they can reach you rapidly and immediately. Live Person offers some great statistics like those offered by Google Analytics. 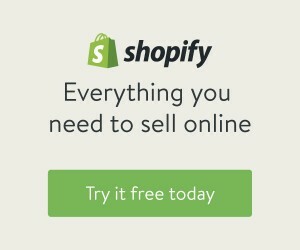 I also like to use LP because the chat window is 100% secure, so you can take orders from customers through this window. Note: I recommend you negotiate on price when you speak with your LP representative; they always bend on price to get your order. 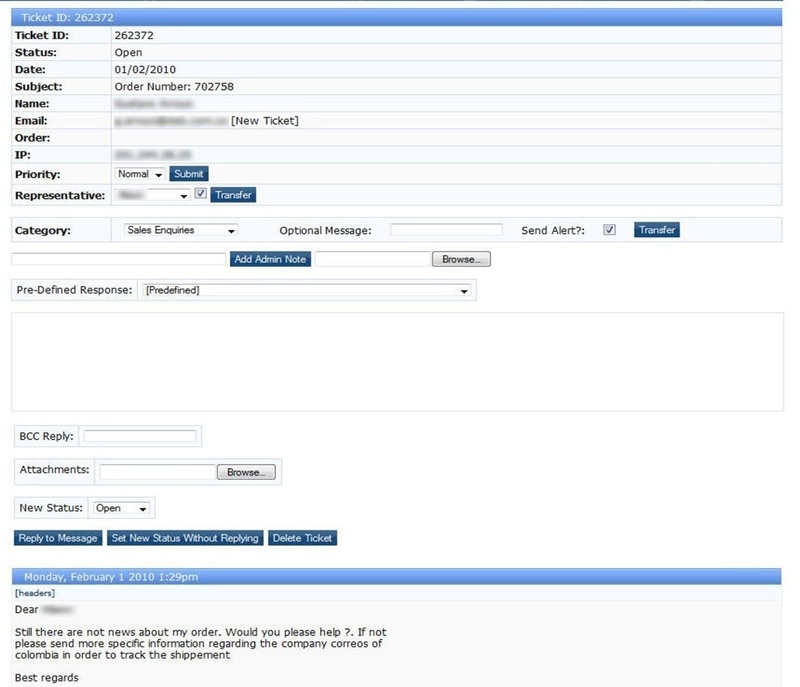 Monitor your email delivery rates with feedback from customers. Get a feel for your email reliability on a regular basis, run tests, and check to see if customers are receiving it. Is your email being blocked by their email client spam filters or worse is it being blocked on their servers? I have had experiences where the email service provided by certain hosting companies has been blacklisted by customers because of spam issues in the past. If your emails are not reaching customers’ email inboxes, then communication and sales will be negatively affected.